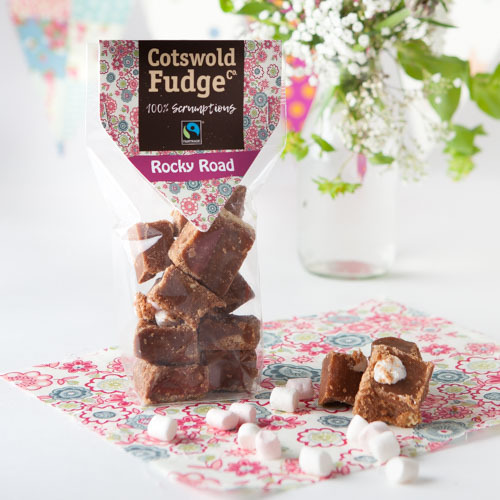 Our Rocky Road Fudge takes its cue from the traditional tray bake, and features a delightful combination of digestive biscuit, mini marshmallow, chopped hazelnuts all swirled into sumptuous chocolatey fudge. Being the funkiest looking product in our range, this is often popular with younger customers or for those who like to have a bit of fun with their fudge. For more information on this product please click here.